"We've been totally delighted with the service... Fantastic company to work with!" "A pleasure to work with, extremely accommodating & helpful..."
"Always professional and easy to deal with...."
"Very responsive & flexible, providing a service we keep coming back to..."
"The Site-Eye team are approachable, helpful and friendly"
We undertake time-lapse projects for a wide range of clients from movie studios, independent production houses, to multi national developers, rail and construction sites. Our entire team of highly qualified staff all hold valid ECS/CSCS cards and include professional photographers, film makers, engineers and programmers. Our engineers undergo ongoing, thorough and comprehensive training and we’re proud to be the only self-certified Personal Trackside Safety (PTS) allowing us to work on any rail site without project specific sponsor. This range of skills allows us to adapt our time-lapse camera systems to suit our client’s needs and requirements. Our clients can enjoy access to a full archive of pictures or HD video, a time-stamped thumbnail refreshed every few minutes, multiple off-site backups and broadcast-quality footage delivered in any format desired; even our pricing is simple and straightforward with no hidden extras. Spanning multiple industries, from retail to ship building. We provide professional time-lapse systems for a huge range of sectors in the UK and worldwide and tailor our time-lapse services to suit project budgets. Learn more about your sector below, or contact us to discuss your requirements. Traditional time-lapse site monitoring is achieved by sending still images back to an online portal where clients can view them from anywhere in the world. SiteStream takes this to the next level, with HD video recordings instead of stills. 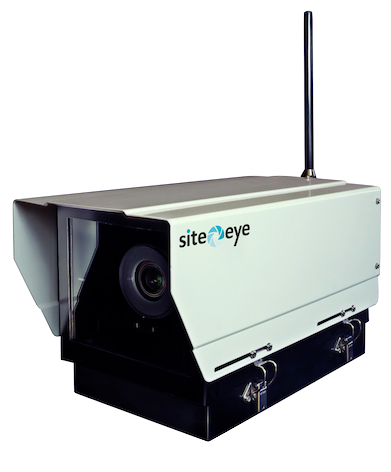 SiteStream cameras capture the entire build as discrete 10 minute HD video clips which can be searched by date, time and easily downloaded.